Reading and share top 3 famous quotes and sayings about Happier Days by famous authors and people. 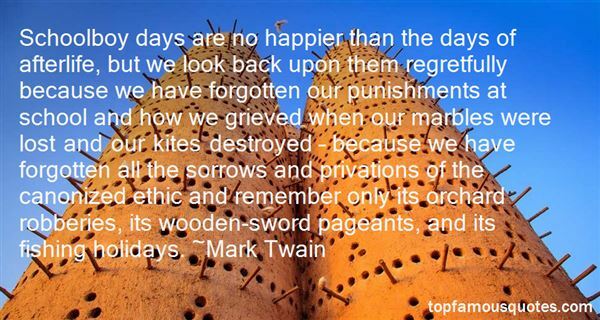 Browse top 3 famous quotes and sayings about Happier Days by most favorite authors. 1. 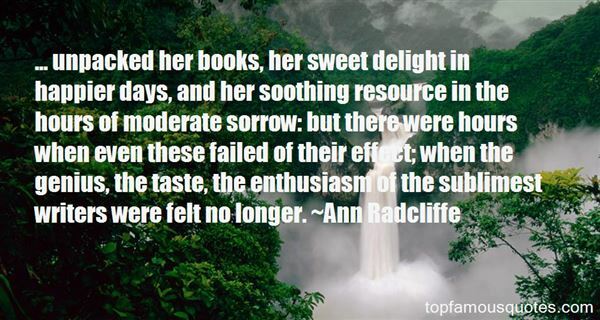 "... unpacked her books, her sweet delight in happier days, and her soothing resource in the hours of moderate sorrow: but there were hours when even these failed of their effect; when the genius, the taste, the enthusiasm of the sublimest writers were felt no longer." 2. "Schoolboy days are no happier than the days of afterlife, but we look back upon them regretfully because we have forgotten our punishments at school and how we grieved when our marbles were lost and our kites destroyed – because we have forgotten all the sorrows and privations of the canonized ethic and remember only its orchard robberies, its wooden-sword pageants, and its fishing holidays." 3. "...she thought, he will never be so happy again...They were happier now than they would ever be again. 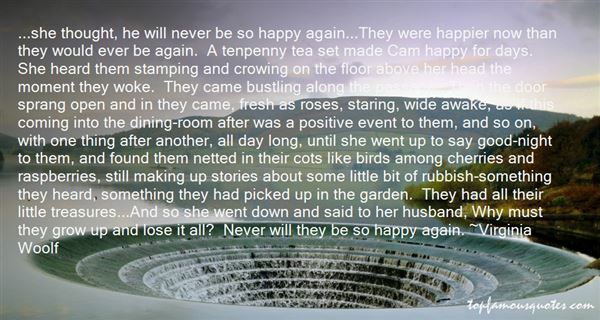 A tenpenny tea set made Cam happy for days. She heard them stamping and crowing on the floor above her head the moment they woke. They came bustling along the passage. Then the door sprang open and in they came, fresh as roses, staring, wide awake, as if this coming into the dining-room after was a positive event to them, and so on, with one thing after another, all day long, until she went up to say good-night to them, and found them netted in their cots like birds among cherries and raspberries, still making up stories about some little bit of rubbish-something they heard, something they had picked up in the garden. They had all their little treasures...And so she went down and said to her husband, Why must they grow up and lose it all? Never will they be so happy again." I never mean to be disrespectful, and I don't mean to be a wise guy."